Not web savvy? Don’t have a clue where to begin? No need to worry, we will be glad to explain all of our design services to you. Our affordable, custom designs and services are perfect for new start-ups, and small and medium sized businesses that need a professional website. Whether you need a website to be built from the ground up, an overhaul of your existing design or just a few corrections here and there, Brand Web Designs will utilize its expertise to make your site more accessible and pleasing both to visitors and to search engines. With Brand Web Designs, you select the features that are right for your business. With services ranging from logo design to ecommerce applications and from search engine marketing to update capabilities, you have the freedom to expand your online presence to make your business grow. Whether you are an individual, an established business or a startup, we have just the right solution for you. All you need is to drop us two lines and we'll get back to you with our wide range of solutions. Another custom made website; designed and developed for LedFit Ltd. LedFit is a specialist Led retrofit installer based in Sutton Surrey, UK. 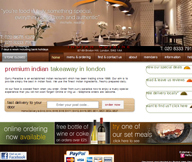 Curry Paradise Restaurant is an established Indian restaurant based in London. We offered a bespoke online ordering system using the Reflux software. Brand Web Designs, a leading ecommerce application Development Company of the UK owned by Derek Shankar, is providing web development, web hosting and web design services for its clients at competitive rates. 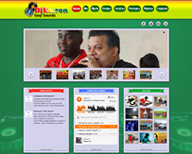 We have a team of experienced Caribbean & UK website designers who have vast experience in this field.